Posting job advertisements online can be overwhelming and expensive. However, reducing job posting costs isn’t actually that difficult, you just need a few tips and tricks. In this article, we’ll share with you a few ideas for how you can start to minimize your job posting costs. SEO is a key part of making sure your job ad gets seen and by the right people. The first step is confirming that you are using the right keywords. It is essential that you are using a job title that your target group is actually searching for. You should start by doing keyword research to determine the correct job title or titles for your position. Creating multiple job ads with different titles is also a possibility to help you to reach more potential candidates. 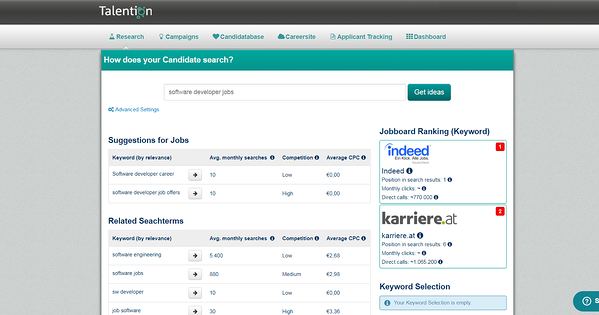 In addition to keywords, you should also analyze the job ad for SEO. For example, using a SEO tool can reveal the strength of your job title, meta description, internal links used and more. Free reach goes hand in hand with SEO. SEO can help to increase your reach without costing anything extra. Another way to increase your reach is by using a multi-channel posting tool. Using a tool can help you to post your job ad to multiple places and they don’t necessarily have to cost money. While many job boards do have a cost, there are also free job boards available that you can take advantage of. One critical step that will help to save you money is analyzing your job ad’s performance. You shouldn’t simply throw your job ads out into the internet and not take the time to make sure they are effective. Things that you need to check are CTR (click-through-rate), bounce/exit rate, time on page, and number of conversions. Additionally, you should be analyzing the performance of each channel to determine which is working the best for you. Did you know there are different types of pricing models for job posting? For example, two of the most common pricing models are length of time and click based. There are pros and cons to both models and you should select the one that works best for you. Photos are a must-have in the world of job ads. They attract the attention of potential candidates and help them to visualize a future at your company. But you don’t have to pay a lot of money for a professional photographer or a photo shoot, you can also use free stock photos. There are a lot of websites offering free quality stock photos, like Pexels or Pixabay. Check out our page "The Ultimate Guide to Job Advertisements" to find further resources on the topic of job ads. Still interested in finding a way to reduce your job posting costs? Check out the Talention multi-channel posting tool, it’s a great way to do all of the above and more. 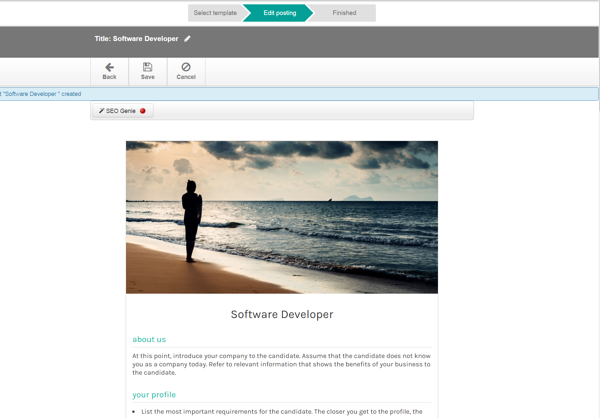 We will gladly show you further best practice examples and concrete implementation in the Talention software. Just ask for a demo here and someone will get in touch with you shortly. Request a demo now.